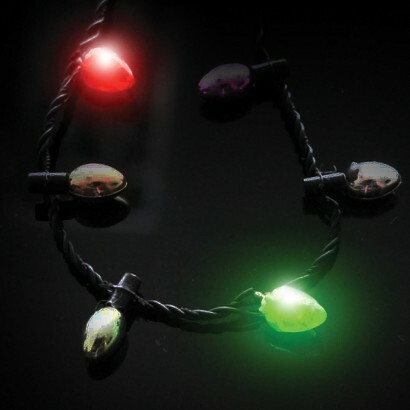 Accessorise your party look with bright colourful baubles on this flashing party necklace! 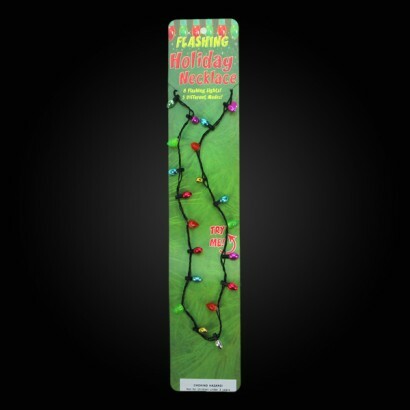 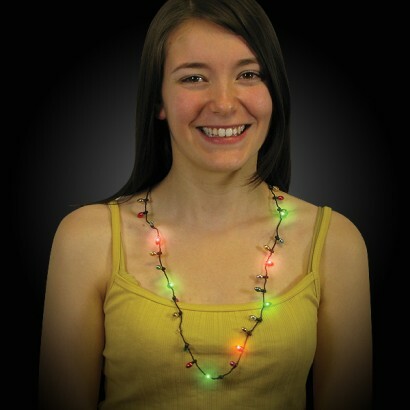 Decorated with 28 multi coloured mini baubles, eight of which are lit with flashing green and red LEDs for extra festive fun, this flashing party necklace shines with three cool modes. 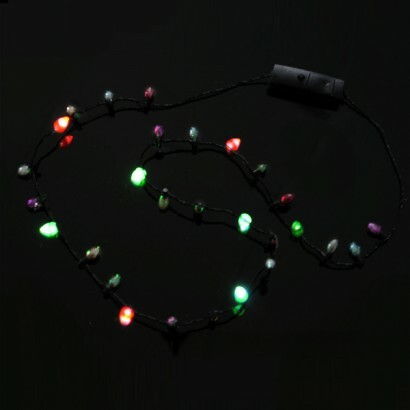 Battery operated, the baubles are set on a black safety necklace cord adding instant bling to your party look!